Today is the book birthday of my latest (fifth!) picture book, Something Extraordinary. To celebrate I'm giving away three signed copies of the book on my Facebook page: https://www.facebook.com/Clantoons. Taking entries until 12 EST tonight. 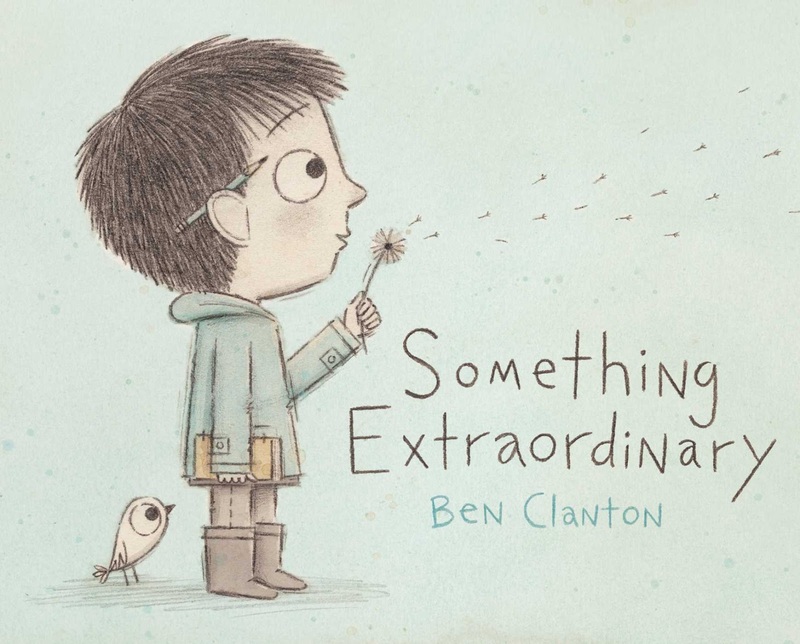 Also out today is an interview with Writers' Rumpus (via my critique group pal Kirsti Call) (http://writersrumpus.com/2015/06/16/interview-with-ben-clanton-gifted-author-and-illustrator/) in which I talk about Something Extraordinary amongst other things. If you happen to be in the Andover, MA area or in Reno, NV, I have two upcoming signings! I'll be giving away an original piece of art with each book sold! This event is a bit of a farewell to the region. I've lived in North Andover for two years, but am now moving back to Seattle. A bit about the book (this is the blurb Simon & Schuster came up with) . . . The idea for the book came to me a few years ago on a rainy day in Seattle. A picture of a boy taking in colorful and tasty rain came in to my mind and I wanted an excuse to draw it. Soon all sorts of things I wish for were bubbling to the surface in a series of images. With the help of some extraordinary events in my life those images came together to make this book. Hope you like it! !